From Imphal we began our trip into Nagaland by road with a convoy. 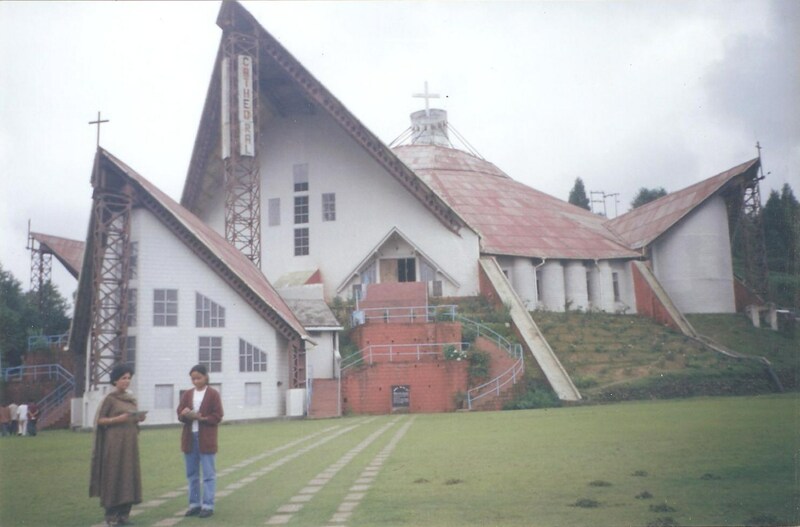 Insurgency was at a peak in those times and Nagaland was out-of-bounds for the regular people. Travel was only safe with a convoy. And I must confess, travelling in a Military vehicle, with a heavily armed vehicle in front and another in back for our protection was quite an experience. But it was no special treatment. Convoys start on specific days and travel as I said was safe only in a convoy. 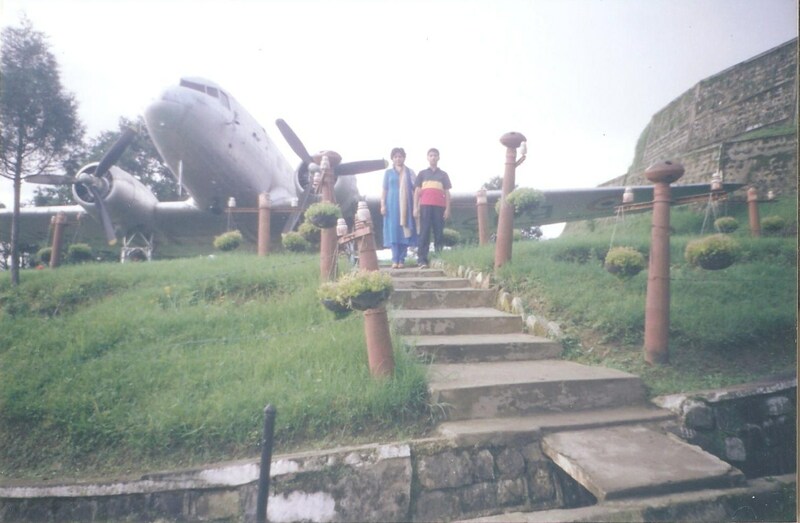 Our destination was Zakhama, a small village 20 km from Kohima the capital of Nagaland. We stayed in the Army mess there. The roads of Nagaland are a nightmare for even the most hardened of drivers. A rough mountain terrain which leaves no margin for error. The area is a jungle with thick cover of green wherever you look. Small river streams run down the valleys to meet with their larger counterparts. It is a home to a wide variety of plant and animal life form. Everything there seemed to have gigantism. From flying cockroaches that measure almost 2 inches in length to the huge trees that go on forever. Butterflies and moths of mammoth proportions flew around (one during daytime and other at night) and all of them had the most beautiful patterns on their respective wings. Shrieks of a strange insect (the people at the army camp called it ‘Guitar’ because of its voice) made sure that the night was not silent and large swarms of fireflies gave the impression that stars had descended on the land. Bamboo is plenty in the forests and the major flower of the area is orchid. I was told, more than 300 species of orchids are found in Nagaland and they were everywhere. Orchid according to my personal views is the most beautiful flower of all. The insect life is also abundant and there were a multitude species I had never seen before. Rice is the staple crop of the people and they even brew an alcoholic drink called ‘Rice Beer’ from it. It is a milky white coloured liquid with a rather unpleasant taste and smell, but it gets them high. Unlike the rest of the Himalayan states like Kashmir, Himachal Pradesh, Uttrakhand etc…..Nagaland has still not been ruined by the excessive tourist population and remains uncorrupted. By evening we arrived in Zakhama. The special item in dinner was Pork curry. People in this region do not follow the Indian Standard Time. Sun rises and sets pretty early in the area and people do their work accordingly. In most of the villages, everyone is up by 2 – 3 A.M and hit the sack at around 6 P.M. 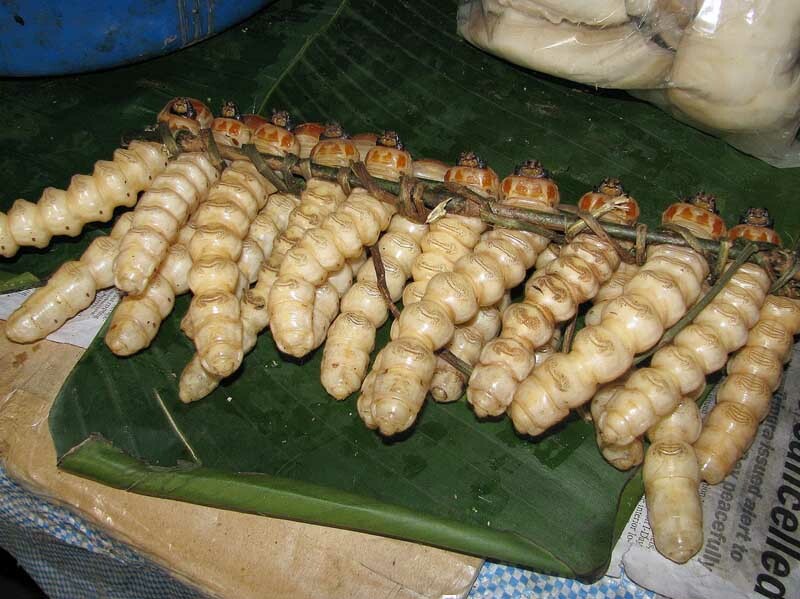 The diet culture of the Nagas is quite simple and interesting. They believe that everything that moves can be eaten. The ‘Guitar’ insect is a snack item and the kids keep these insects in their pockets. The softer head portion is eaten while the rest of the hard skeleton is thrown away. They are preferably eaten raw. ‘Dog Meat’. It is believed to be special and before special events like a local inter-village sports competition, the sportsmen are fed the meat of a ‘Black Dog’. Insects as I said are also eaten. 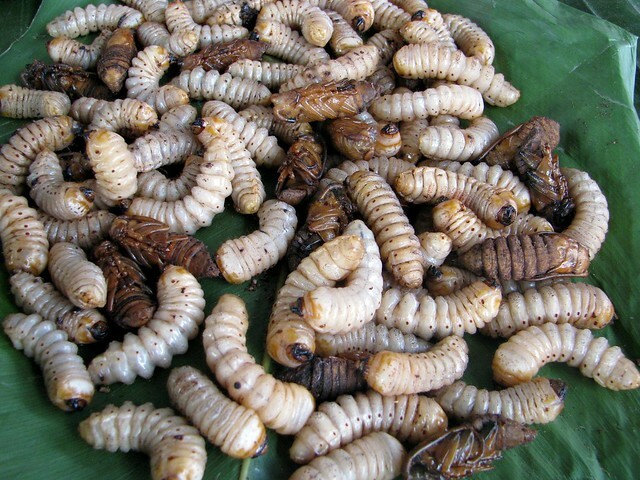 One of their main dishes is a heavily flavoured curry dish of ‘Hornets and its Larvae’. 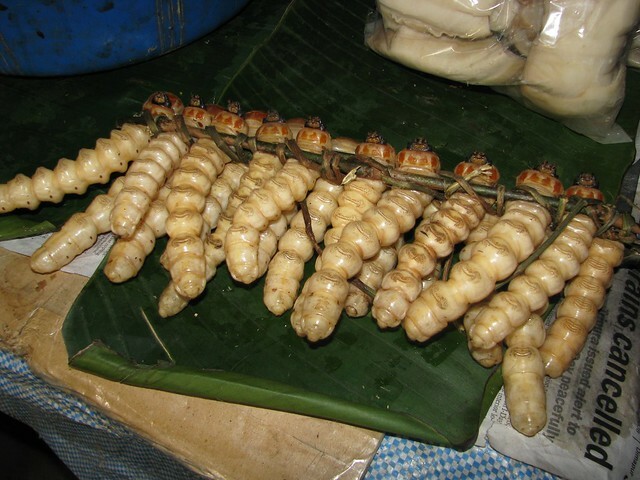 All these things can be seen at the “Keeda Market” in Kohima. It was named that by the Army personals back in the camp, but the local name is something else. When you enter the market, you will see a variety of things on sale. 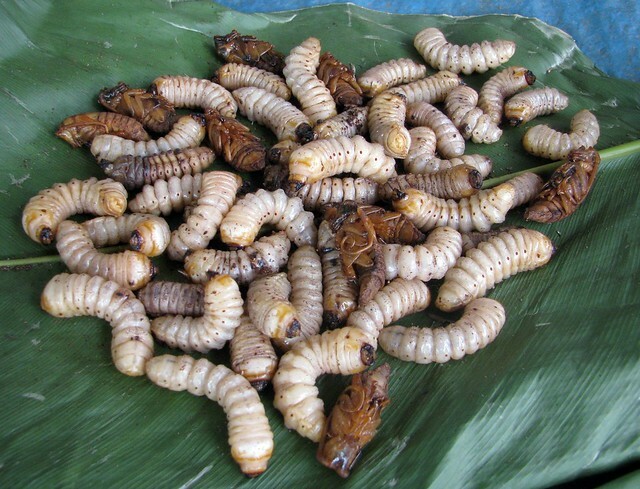 Dog meat, fresh hornets, white larvae on a stick, dried eel and fish, snakes, smoked pork, frogs and catfish, in fact there was an extensive assortment of birds, animals and insects on display. Amongst other things sugarcane and pineapples are aplenty. The green chillies grown in this area are the hottest in the world. They are small green berry like in shape, but can ensure a volcano eruption in your stomach when you eat it and the next one in the morning the next day. called the Stalingrad of the East since Japan suffered its worst defeat here. The caption at the big stone reads majestically. 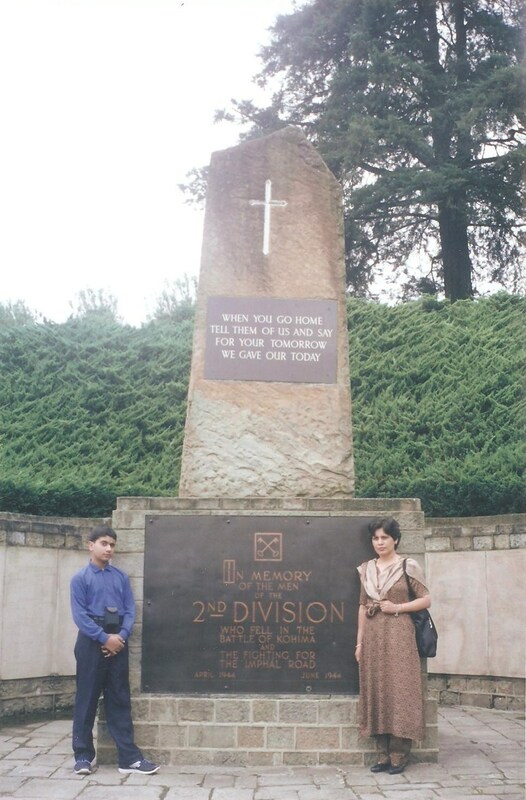 “When you go home tell them of us and say for your tomorrow we gave our today.” It is a serene place surrounded by arguably the most beautiful landscapes in the world. A fit resting place for the immortal braves. An important even of this battle was the Battle of the Tennis Court. It was fought between the Japanese and the Indian/British soldiers on the Tennis Court in the Deputy Commissioner’s bungalow. It has been described as ‘the scene of some of the hardest, closest and grimmest fighting, with grenades being hurled across the tennis court at point-blank range’. And Lord Mountbatten rightly said that it was, “probably one of the greatest battles in history… in effect the Battle of Burma… naked unparalleled heroism… the British/Indian Thermopylae”. A massive structure is the Japanese Cantilever Church. It is an architectural wonder and a delight from both inside and outside. Since the Christian Missionaries arrived in this area, almost all the Nagas have converted to Christianity with majority of them being Baptists. The church is the largest cathedral in the North East. One of the key moments of my travel was when we went to visit a traditional village of a local tribe that has its roots in the headhunting days………..to be continued. Thank You. It is a good place, try to make a plan. I am sure you will enjoy it. I just hope insects especially large ones don’t freak you out. Hi my name is zakhama. i’m from tunisia i read the memoirs of ur travels and i’m asking if there is a place named Zakhama in India cauz i thought its a tunisien name !! very nicely written prateek.. i know of the insurgency in nagaland but would still take out time n go there.. north east is perhaps the most beautiful place on earth that is still unexplored to its potential..
Hi there, I just stumbled upon your blog and the pictures of the food market in Kohima. I’m sorry to say but those pictures are actually mine. You posted courtesy of hexell.livejournal and maybe that person gave you permission, when it was not his to give. The original files can be seen on my Flickr page. I allow anyone to use my pictures, but only if they’re credited to my name, so I would like this to be corrected. Thanks. I know it’s not your fault. That person has an entire website based on other people’s shots. We lived in Zakama for 2 yrs , nice experience . My children studied in loyala school Zakama1990.They use to play in the olane in helipad. I have seen that plane too. My Dad (ex-IAF) brought it from Jorhat Air Force Base and put it over there.